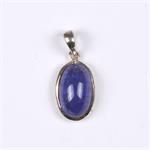 Metaphysical Healing Properties: Tanzanite integrates the energies of the mind and heart. It opens a cascade of thoughts and insights, but it keeps one calmly anchored in the heart’s wisdom. 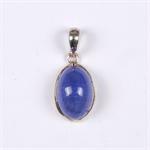 The integration of mind and heart offered by Tanzanite takes place through the linkage and attunement of the heart and third eye chakras. Bringing the heart into communion with the mind is essential to achieving wholeness.